Now now. That's not fair. 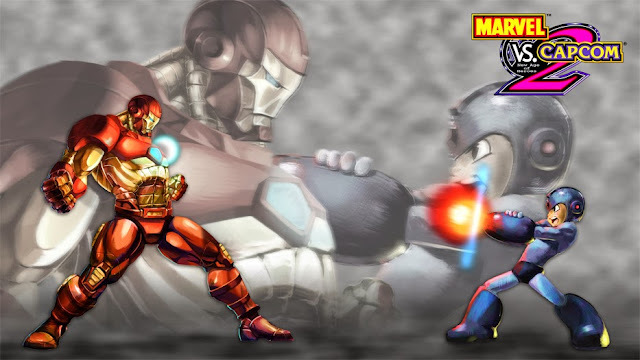 MegaMan isn't in Marvel 3 after all. Misread that. Never mind then! Hardly! This is simply just the downside of licensing other properties for this sort of thing, and Marvel was noted to be fairly difficult to work with this go around. What I'd really hope for is for Capcom to one day make a Versus style game where the IP remains completely in their control so that they don't have to wrestle with character rights or what have you. UMvC3 has proven very popular here in the United States and it is kind of sad that it'll take that much more legal hoop jumping for it to ever be available again years down the line. And this is one of my biggest fears with a purely digital future of gaming. Things like Mega Man Legends not being able to be distributed due to the voice acting in it, or games being pulled for unclear reasons, or online servers being shut down. It's nice that if you already own it, you can still re-download it with no worry, but it also puts a potential time limit on everything. But whatever, it is most likely the licensing issue speculation. Didn't they stop Tatsunoko vs. Capcom for the same reason? Yeah, the contract merely expired. There were no real difficulties between Capcom and Tatsunoko proper. The only issue they ran into in the worldwide release was that they couldn't get the European rights holders of Hakushon Daimao to cooperate (which is why he is not in the game we got). Ive just checked PSN and the DLC for Ultimate Marvel VS Capcom 3 is not discounted whatsoever. Been poking around... apparently we missed it around midnight last night which is totally BS. this is a reason on why physical games are better than digital unless it's pirated copy.